Following the recent release of BigBlueButton's 2.0 version, we take a look at the new updates to its user interface as well as the latest inclusions in the tools offered within the package. 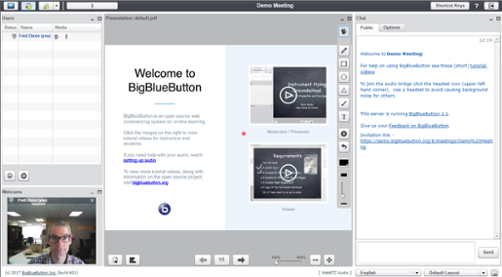 BigBlueButton (mod_bigbluebuttonbn) enables Learners and Tutors to include web conferencing as a component of your course content. The plugin allows you to converse and interact, offering both sound and vision possibilities as well as screen sharing and other interaction. What's new in BigBlueButton's 2.0 version? The most immediately obvious changes are to the interface. It now appears to be brighter and clearer, along with some cosmetic changes to icons (e.g. the Headset icon to a phone icon) and grouping the audio/visual controls into the top centre of the interface. Also the session title from Moodle now appears in the top left corner of the interface window. Images obtained from BigBlueButton Overview Fall 2017 PPT produced by Blindside Networks Inc. In addition to the chat window, users can be provided with a "Shared notes" window. This window can be edited simultaneously by all users. Additionally, a moderator can create multiple breakout shared windows with their own headings, which again can be used by all users. 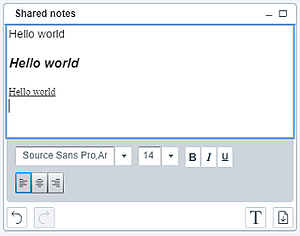 Simple text formatting has now been implemented within the shared notes window, should a user wish to add emphasis to typed text. The facility has also been provided to enable the user to download the contents of the shared notes. The moderator or presenter can now engage a Multi-user whiteboard. This enables all users to draw within the presentation window using the simple tools provided such as pencil, polygons and text of selectable colour. When using the pencil drawing tool, automatic smoothing of hand drawn lines has been implemented to neaten drawings. The ability to download a presentation that has been uploaded has now been added for users, who will simply need to click the download icon in the bottom left of the presentation window. The facility has also been added to download chat conversations from the chat window in addition to the existing copy chat option. The ability to download content may prove useful for users who wish to refer back to the presentation and any further information created during the presentation. During a presentation the moderator can elect individual users to be promoted to a presenter, providing them with similar level of control to the moderator which includes the ability to upload their own presentations for display to the connected group of users. This could prove useful in several situations including the sharing of work/content created by individuals to the group for peer review. If you are the original moderator you can now log out and end the online presentation, ensuring a neat close to the proceedings. The option still remains for the moderator to simply exit without ending the presentation, allowing users who wish to continue a dialogue can continue to do so without requiring the moderator’s presence. This option reduces the number of steps that need to be taken to close a meeting for the moderator. What’s my learner’s experience like? The updates have arguably bought visual improvements for users to the BigBlueButton experience as well as some new features and tools. There are now several ways to share views and ideas with the group including the use of a Multi-User Whiteboard and the Shared Notes feature. Being offered the ability to download text content produced within the conference as well as the actual presentation (if enabled during the initial upload) will better enable users to review or revise. However, other than taking screen-shots at the time of testing I did not appear to have the ability to download drawn content created within the Whiteboard area of the presentation. 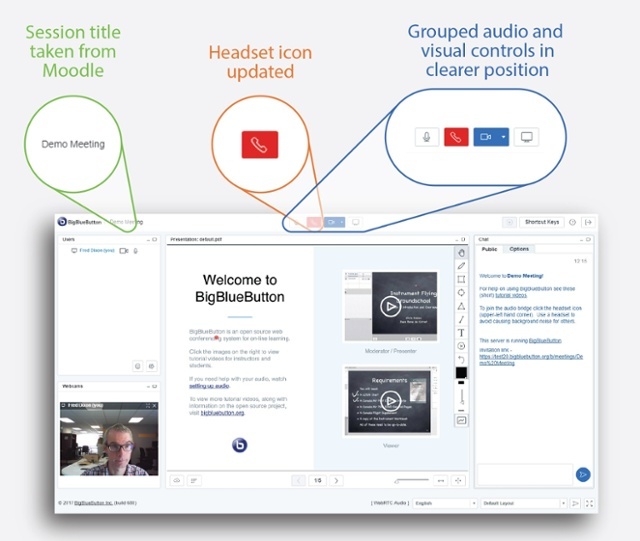 BigBlueButton is a useful addition to a trainer’s arsenal, allowing for one-to-one or group online meetings that can be used for presentation based training, information sharing and discussion as well as peer review, to name a few possibilities. The changes made to the cosmetic nature of the environment enhance the appearance for most users, centralising and decluttering the work environment. The shared notes functionality could prove problematic as users seem to be able to delete text from any user and there appears to be no ownership of the notes (i.e. who has typed what). It is my belief that some more thought may need to be put into this tool, as multiple users trying to simultaneously enter/delete text within the static or breakout shared windows could prove difficult to manage. In addition, once a breakout shared notes window has been created, we could not find, even as Moderator, the ability to close the window, though it could be minimised. Adding the ability to download any diagrams or sketches created within the Multi-User Whiteboard might prove advantageous to some users as taking screenshots may not always be a viable option to the user. Viewer promotion enables different users to temporarily take control of the proceedings, enabling them to upload a presentation and control its flow, allowing multiple presenters to share their own content. Shared Notes could do with a little more refinement, particularly in ownership and user separation. Let the text wars begin! The ability to download content created within the Multi-User Whiteboard may prove useful to some over having to take screenshots. If you're new to BigBlueButton you can find out more about it's features here. The BigBlueButton plugin is applied within a course as an activity. All enrolled users or individual participants can be invited to participate in the activity which can then be scheduled for a specific Date/Time. Attendees can be setup to join the session as a Viewer or Moderator and should receive an invitation email to ensure that they are aware of the online conference/lesson. How do I install the BigBlueButtonBN plugin? The plugin is available the Moodle plugin repository at https://moodle.org/plugins. The current version of the BigBlueButton plugin is available for Moodle 2.7 to Moodle 3.3. Simply download the zip file which should then be unzipped and its contents uploaded to your Moodle installation e.g. /mod folder. 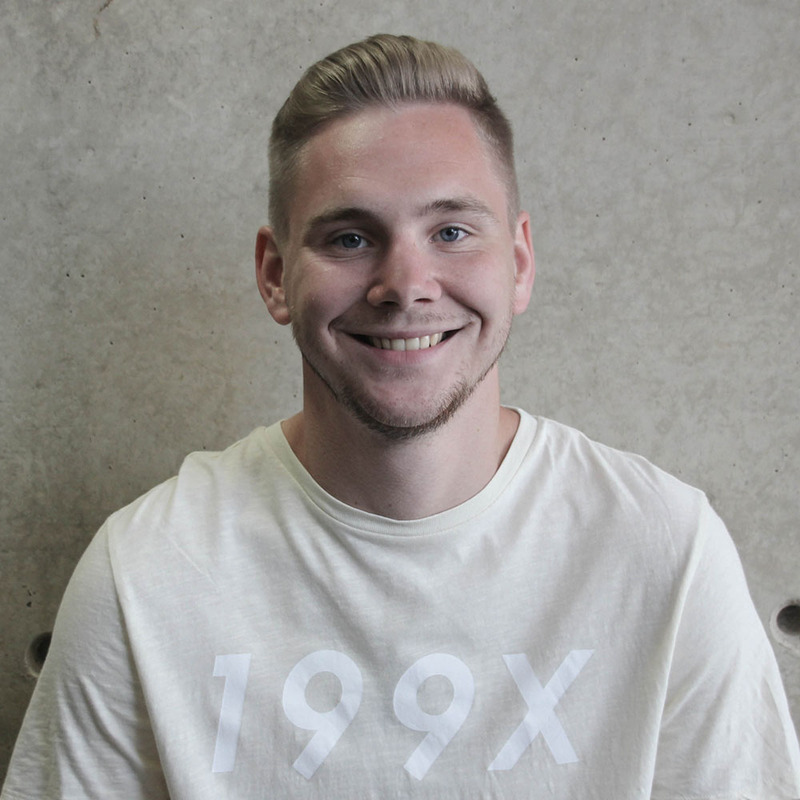 Once the files are moved into the correct directory you can login to the Moodle site as an admin and complete the installation process by navigating to Site administration > Notifications and click on the "Update Database" button at the bottom of the page. Important Advice: You should always take a full backup of your site before installing any plugin. Is there any documentation for the BigBlueButton plugin? BigBlueButton instructionals can also be found on Youtube.